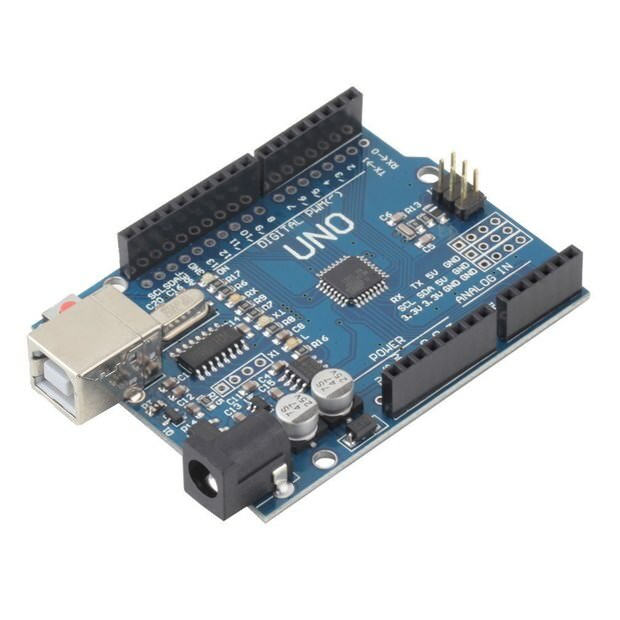 This board is a clone of the official Arduino/Genuino Uno R3. 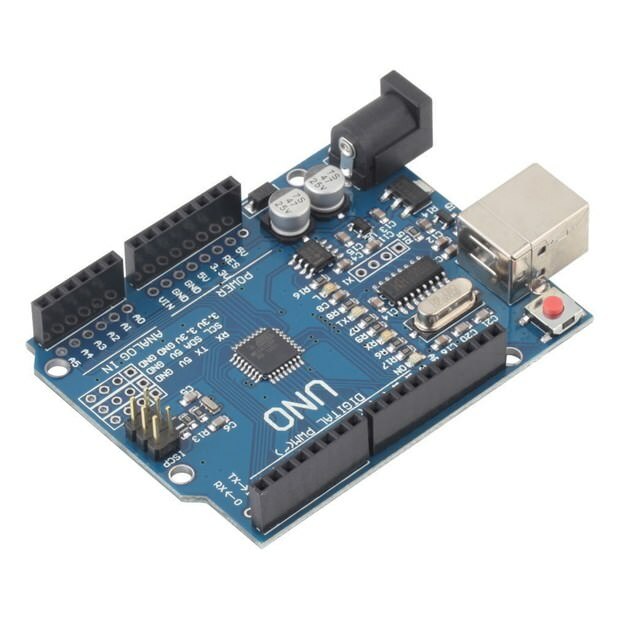 It functions in exactly the same way and is fully compatible with the Arduino IDE software. It comes with the MECControl firmware pre-installed, so you can plug it into your Windows PC (using the supplied USB cable) and start using it straight away with the MECControl software. In most cases it will be immediately recognised by your Windows PC — if it is not, please download and install the Windows driver. You can find out more about the Arduino/Genuino Uno in the Help section. ATmega328P microcontroller running at 16 MHz. 2Kb random access memory (RAM). 1Kb electrically erasable programmable read-only memory (EEPROM). 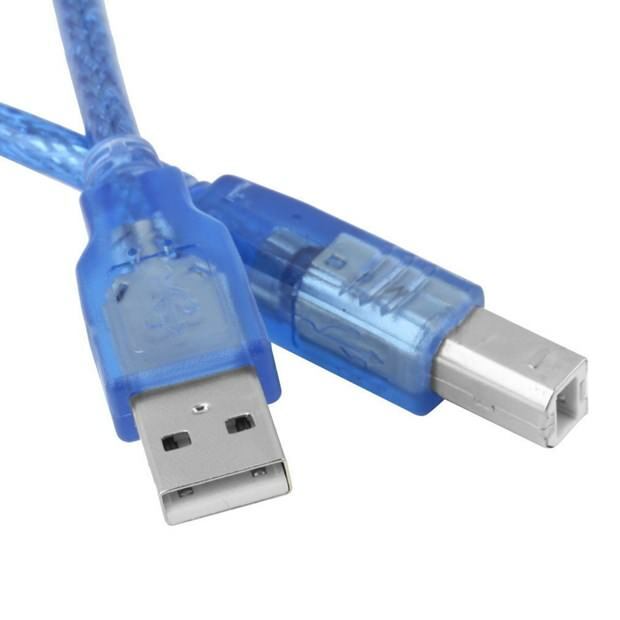 Powered from the USB port at 5V DC or from a power jack at 7–12V DC. 14 digital inputs or outputs (sinking or sourcing 20mA each), six of which are capable of pulse-width modulation (PWM). 6 analogue inputs with 10-bit resolution.